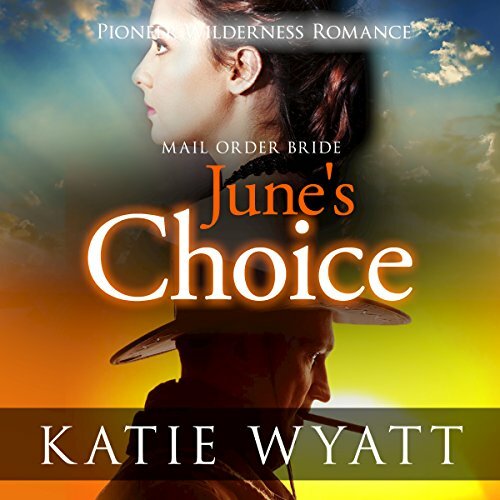 It's 1871 and love is starting to blossom in this faraway desert corner of Texas. This historical, inspirational Western romance much-loved series is about empowered women who turn around their hopeless circumstances in this mid-18th-century tale of the old West with strong faith, and discover authentic men and true love. Meet June Dennings - her husband died, she's running out of money, there is no good local man left to marry. She takes a giant leap of faith accepts an offer of marriage and a train ticket to becoming a mail-order bride on a faraway dry, dusty desert town of Amarillo to marry a cattle rancher that she had corresponded with only four times and has never met! Her generosity and kindness have her meet a stranger named Belle one fateful afternoon. What is it that she has in here power that can save her fiancé's cattle ranch and their lives? Will they survive what some good-for-nothing cattle rustlers have in store for them? So come on hang out with the folks in Amarillo including the tall, handsome cattle farmer Mr. Jarrod Bedford who scares the heck out of our pretty Miss June, the faithful friend foreman Yancey Williams and Belle, the strong attractive woman who holds the key to their lives.